We love new slots as much as you do! We track all the latest new online slots and new casino game releases and feature the best new slots here, giving them a quick spin to make sure they’re up to the standard of course. With new slots and games released every day, it’s not easy keeping on top of them but you can be sure we’ll save you the trouble of finding the best new slots 2019 and games. All new slots and games are given a play and short review below so you’ll know right away if a new slot or new casino game is to your tastes or not! 18th April: Players who enjoy classic designs and more conventional themes should be quite pleased with Microgaming’s recent release Ancient Fortunes: Zeus, available in 32Red casino. Played on 5×3 reel grid and 10 paylines, this slot has more to offer than just elegant visual features. The Rolling Reels system will boost the odds of forming a winning combination and initiating the Multiplier Trail which adds a higher multiplying value to every consecutive win – up to x7 in the base game and up to x21 in the Free Spins. The number of bonus rounds triggered by the Lightning Bolt Scatter depends on the number of the symbols that initiated the feature, and up to 20 spins can be awarded per session. 16th April: The new slot by Elk Studios is all about the tradition, and if you in the mood for some old-school spinning, head straight to Leo Vegas casino – you should not have any problems locating the game, as Hit It Big is featured in the main lobby, available in both demo-play and real money mode. Considering the maximum payout of €250,000 and a multitude of bonuses, this hardly comes as a surprise. There are 7 different features that can be unlocked when matching symbols land on the opposing horizontal positions: multipliers (x2, x5, x10, and x50), Respin, Stacked Wilds, and Locked Wilds. A random multiplier of up to x1,000 can also be revealed during the Bonus Games which are activated when three Bonus symbols appear on the reels. The feature will last until the players hit a Bandit icon, which ends the bonus round, returning the player to the base game. More bonuses can be activated in the dry spins or when the Hero meter is fully charged – to find out what they are, head straight to Videoslots, where brave chickens have set the military base for defending the planet! 9th April: If you feel that the world has had enough of the fruit-themed slots, perhaps the latest high-volatility, 20-payline release by Quickspin will change your mind. Apart from the refreshing visual representation, Durian Dynamite introduces Dynamite Wilds which can be split into regular Wild icons, after exploding during the Dynamite Launch Feature. Free Spins are initiated when a combination of 3 Bonus icons lands on reels 2 – 4; before the bonus rounds are activated, players will be given an opportunity to unlock more bonuses in the Free Spins Upgrade Picker, including extra Dynamite Wilds or up to 3 Dynamite Reels. The game is available in Dunder. 5th April: Contact by Play’n GO has barely been out for a week, and it’s already a strong contender for one of the best slots this season, due to the great visuals, progressive multipliers, and more than a decent payout potential of 151,750 coins. The winning combinations are formed across the reels in clusters, which remain on the screen after the rest of the symbols are eliminated to make room for the cascading icons. Consecutive wins can unlock up to x4 multiplier and trigger Bonus and Super Bonus Rounds, during which higher multipliers and additional special features are awarded – Block Destroyer, Extra Free Spins, or Symbol Upgrade that can transform one or all winning clusters into higher paying symbols. Contact is live in Royal Panda! 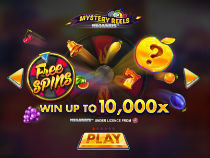 1st April: Ever since Big Time Gaming has introduced its patented Megaways structure, the concept has been increasing in popularity and spreading like the forest fire; the latest release by Red Tiger – Mystery Reels Megaways – is played across 117,649 paylines, offering up to x10,000 payout potential and 96.18% RTP. 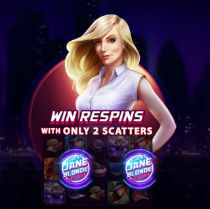 Scatter icons activate the Free Spins, the number of which can be increased through the Gamble Feature – alternatively, the players can simply collect the bonus rounds and proceed with the originally awarded 8 rounds. The Mystery symbols can land on any spin and multiply across different positions on the reels, revealing a matching icon and boosting the payout potential. The game is available in LeoVegas! 28th March: Launched by Blueprint Gaming and available in Casumo casino, Master of Atlantis is a medium variance video slot played on 5×4 reel grid and 40 paylines. An abundance of bonus features awaits those who are valiant enough to dive in and explore the realms of mighty Poseidon; 3 Scatter icons will trigger Poseidon Free Spins, while any spin can unlock the Trident Strike feature and turn a random icon into a mystery symbol. Once the bonus rounds are activated, the players can win up to 3 Trident Power Spins during which every collected Trident symbol increases a payout potential, multiplying the winning amount by up to x100. More free spins are awarded in the Pick a Chest game, initiated by Poseidon Bonus scatter. 26th March: Avast ye! A new slot by Playtech is live at Casino.com, promising explosive bonuses and a new opportunity to seize booty on every spin! The Pirate Ship can fire a bomb at any time – once it lands on the reels, the players will have 7 attempts to trigger the explosive device and claim their bonus bounty. To double your winning odds (at a price of x1.5 your bet), just click on the Extra Ship icon, and a new Pirate Captain will come to your aid, boosting a chance of more bonus bombs landing your way. Any remaining explosive devices from the base game will be transferred over to the Free Spins, unlocked when the Free Games and the Bomb icons land on the same line. 22nd March: The gods that dwell within the walls of the Temple of Nudges are quite generous and the chosen ones with faith (and an active account with Royal Panda casino) can win up to 546,750 coins on a single spin in NetEnt’s new medium volatility slot. Thanks to the Nudge mechanism triggered by any valid symbol combination, more winning strings can be formed, boosting your balance for as long as the Temple gods remain merciful. If a Re-spin tag covers one of the Temple of Nudges symbol during a winning spin, all of the corresponding icons will remain on the screen until the respin is completed. The game is available in Vera & John casino. 12th March: Dragonslayers among Casumo casino members will have a handful with Relax Gaming new release, Dragons Awakening. Played on 5×3 reel grid and 20 paylines, this medium volatility slot takes us to the deepest parts of Dragons’ underground kingdom, where the sleeping beasts guard ancient treasures… The combination of 3, 4 or 5 Scatter icons will awake the Dragons from their slumber, initiating up to 30 Free Spins, during which Suited Rocks transform into a Dragon with a corresponding colour (Red, Yellow, Green, and Blue). The lower value icons can also be replaced by the high paying firedrakes in the Dragon’s Rage feature, triggered after any random spin. 8th March: If you feel that we’ve all had just about enough of Egyptian-themed slots, iSoftBet is set on proving you wrong. Their latest release, Book of Immortals, brings an overdue visual renewal of the genre, presenting us with a powerful looking 10-payline slot with low to medium variance. Virtually any base game spin can trigger the Scarab Swap feature, during which an entire swarm of beetles will fly across the reels and replace up to ten symbols for a chance of a bigger win. The blue Scarab Scatter unlocks 10 Free Spins with a special expanding symbol on the top vertical reel and up to x200 bet multiplier. The game is live at Leo Vegas casino. 6th March: Released by Slingshot Studios and Microgaming, Zombie Hoard is a 5×3 video slot with 9 paylines, medium volatility, and 107,500 coins payout potential. Quite appropriately, the slot features collectible brain tokens which trigger a bonus session as soon as the player stores 30 brains. There is also a less gruesome way of unlocking the free spins, which is by landing a combination of at least 3 Scatters. During the extra rounds, all wins will be multiplied by 2 and the Wilds will be super stacked on all reels (as opposed to the base game rules, where Wilds are super stacked only on reels 3 and 4). The Zombies are hoarding at Rizk casino, so load up your chainsaws and take no prisoners! 28th February: The latest release by Nolimit city is a real hoot, taking the players on a mythical journey through an ancient forest guarded by wise Owl warriors. Once again, the provider has managed to deliver an engaging and visually exceptional game, with 96.22% RTP and a payout potential of 22,500 coins on a single spin. Owls slot features three different types of Stacked Wilds that populate the middle reel during the Dream Spins. Bonus rounds are triggered by the Purple Owl Scatter, which will randomly initiate Ember, Frozen or Emerald Dreams features, each with 5 free spins and a different set of lower-value icons transforming into one of the high paying symbols (Owls or Wild). Those of you HOO are ready to play will be able to find the game at Mr Green, under the New Games section. 26th February: While we are waiting on our admission letters from Hogwarts, we can at least make ourselves useful and practice casting spells in the NetEnt’s latest release Golden Grimoire, a slot with all the necessary charms to make us wealthy. Played across 40 paylines, Golden Grimoire introduces a Mystery Symbol which can be transformed into any randomly selected icon. The Sticky Mystery Symbol that can only appear in the Free Spins performs the same role; once it lands on reels 2-5, it will transform and remain locked on its landing position until all bonus spins expire. The magic awaits at Videoslots! 22nd February: Released this February, Pariplay’s 50-payline slot will give you a taste of the full-blown Zombie apocalypse, threatening to extinct the entire humane race. All that stands between us and the flesh-eating hordes of the dead is the squad of 3 brave Zombie hunters, each with its own Zombie Wild version which can replace other symbols. Every time a combination is completed by the Wild Zombie Hunters, the players will come closer to winning one of the jackpots (Purple, Green, and Red), unlocked as soon as the relevant progress bar is filled to the capacity. The zombie hunting season starts at NetBet casino! 20th February: Ready to stake your honour and life for eternal glory? Fortunately, the stakes are not quite as high in Yggdrasil’s latest 20-payline video slot – you will be able to pull through with only £0.10 – £100 per spin and even buy Free Spins for additional 1,000 coins. The Buy Bonus feature comes in two modes – Training, with 8 extra rounds and Deathmatch (with multipliers), during which the players must meet the threshold to keep the winnings. All other features can be triggered at any regular, base game bet. The Gladiator feature with extra wilds is activated every time a combination of two bonus icons lands on the reels. The same goes for the Free Spins Battle – this feature is initiated when the Beast symbols land on reels 2-4, transforming all high-paying icons into one of the three Gladiators. The game is live at Leo Vegas! 18th February: Finding Mr Green is a custom made, 50-payline slot created by Green Jade Games, which will take you across the world in pursuit of adventures and the man himself – Mr Green! The slot is played on 6×4 reel grid, introducing a Knockout Mechanic feature which allows the players to smash all the symbols that are standing in the way of forming Mr Green Hat icon winning combinations. As you advance in the game, you will be able to track your missions and achievements in the Progress Map that displays all the previous chapters of the story. There are exactly 20 levels which the players will need to complete to get to the finish line, each with different main characters and background story. The search for Mr Green starts (obviously) in Mr Green casino! 13th February: Less than 3 weeks are left to the opening day of one of the largest carnivals in the world, and Thunderkick honoured the even by launching their 4,096-payline slot with x22,700 max payout, Carnival Queen. The slot is played on 6×4 reel grid, triggering the avalanche feature after every winning spin. Each next valid combination will continue to boost the multiplier level for as long as the payouts are generated. The bonus game will not reset the multiplier and the players will get to play at whatever the multiplying level was achieved up to that point. 12 Free Spins will be initiated when 3 or more Scatters land on the reels, and every new Scatter will add extra 4 free rounds. Bonus games (unlocked with 2 Scatters) are also re-triggerable, and 3 more spins will be unlocked if a new Scatter appears on the screen. For a taste of Brazilian nights and the Carnival atmosphere, visit Vera & John casino. 11th February: With their latest video slot release Mighty Africa, Playson provides you with 4,096 (base game) ways to explore the continent and win up to x5,000 your bet in a single spin! Scatter combination triggers up to 50 free spins and 2 more Scatters during the bonus feature are all it takes for 5 more rounds to be re-activated. While the freebies are in progress, every Wild that lands on the reels will multiply, splitting in two and leaving 2 or 3 additional Wilds in its spot, thus increasing the number of pay ways to a total 31,104! The safari starts at bCasino! 7th February: Evoking the golden days of mediaeval chivalry, Glory and Britannia by Playtech will take you on an archaic adventure inspired by the legend of King Arthur and His Knights of the Round Table. Played across 243-paylines, the slot can produce 20,000 coins, and award 15 Free Spins with an extra row that increases the number of betways to a total of 1,024. What makes the game particularly engaging are the optional Side Bets, which, if selected, boost the player’s bet and unlock additional features: Lady of the Lake, Templar Knight, Guinevere, Merlin, Duke of York, King Arthur, and Robin Hood. The quest for glory starts at Paddy Power casino! 5th February: Thanks to Casinoluck and 2by2 Gaming, you actually can sit alone in your room and live your life as if it were a cabaret at the same time! The 60-payline, medium volatility slot will add a much-needed surprise element to your everyday life and hopefully produce some hefty payouts that you can spend on decadent luxuries. The Encore Feature with x2 multiplier is triggered randomly, while the Free Spins will come in three modes, each combined with a different bonus feature. It is up to the players to select the bundle: bonus rounds with wild reels, bonus rounds with higher frequency encore feature, and last but not least, bonus rounds with both wild and encore features! 30th January: The latest instalment of the extremely popular Barcrest Rainbow Riches series is finally live in Royal Panda casino and it’s safe to assume that the fans of earlier releases will find the new edition a worthy representative of the saga. Played on 7×5 reel grid with 50 fixed paylines, the slot is crammed with bonuses, starting with multi-level Big Bet feature that unlocks the Super Rainbow Reels and increases the payout value. During the base game, any spin can trigger the Lucky Leprechaun Bonus, which can be potentially upgraded to Rainbow Ring Bonus Spinner, and therefore lead to Wild Rover Bonus, extra bonus symbols stacked on the reels, Free Spins, etc. 28th January: The latest release by NetEnt has given a whole new meaning to the phrase “being square” – contrary to what one might expect from the traditional theme, there is nothing boring about Strolling Staxx, a medium volatility slot with conventional fruit symbols, ten betting levels, and the Bonus Bet feature that unlocks an extra chance of landing a Colossal icon. Every time matching icons cover an entire reel, Strolling Staxx Re-Spins will be initiated and potentially re-triggered. Colossal 2×2 and 3×3 symbol blocks can appear during the main game and the Re-spins bonus, while the extra bet increases the odds of 3×3 block appearing on the screen. The game is available at Videoslots casino – be there or be square! 24th January: Yggdrasil may be known for their innovative approach to slot design but wait till you hear this background story – their latest 20-payline video slot (a sequel to the developer’s iconic 2015 Cazino Zeppelin) features Casino Cosmos mother ship ruled with an iron fist of Stella, an awe-inspiring intergalactic commander. A bizarre combination of Sci-Fi and steam-punk stylistic elements, Casino Cosmos is a visual delight that can produce more than x10,000 player’s bet on a single spin. During the Free Spins, all Wilds will become Sticky while the collectable icons trigger a special set of freebies – the so-called Collection Free Spins with bonus features (symbol mutation, reel nudge, stacked wilds…). To start your outer space adventure, log into Vera&John casino and check out their recently added games. 22nd January: The newly launched high-volatility slot by NetEnt, Turn Your Fortune, is played on 5×4 grid with 40 paylines, triggering up to x2,000 player’s bet on a single spin. Featured as “a slot game with a twist”, this release (available at LeoVegas) has a unique bonus pattern – every Fortune Win will add the collected Key symbol to the Fortune meter, increasing the payout potential across 5 levels. The fifth and final level can multiply the payout by x50 – x2,000. The collectable symbols will land during the Fortune Re-spins and Free Spins as well, filling multiple spaces in the Re-spins or adding +10 symbols to the meter while the bonus spins are in progress. 16th January: Another beautifully executed video slot by Quickspin, Divine Dreams takes us on an oriental adventure across 243 paylines! The game is crammed with bonus features, randomly triggered when relevant bonus icon lands on the middle spot of the Bonus Reel. Mystic Multipliers can increase the payout up to x10 during the base games and free spins, doubling their value when Sacred Respins are unlocked. The Ying Yang Wild can also land in both the main game and the bonus rounds, awarding 2 extra wild icons together with a random multiplier. The highest payouts can be expected in the Super and Mega Respins which introduce Upgraded and Top-Level Multipliers with a maximum multiplying value of x20 and x30, respectively… The game is available in Videoslots casino! 14th January: Elk Studios is starting 2019 with a blast, launching a medium-high volatility video slot which aims to prove that magic lives! Their latest release, The Wiz, (available at bcasino) is a 178-payline slot with a £500,000 payout potential and Elk’s signature Betting Strategies feature. Up to 10 re-triggerable Wizspins can be activated with the Wizard Scatter icon while the Wild Dragon symbol can both complete the winning combination and multiply the winnings by x2 – x5. During the free spins, all low-value icons will be swapped by their high-value counterparts and the Dragon Wild will become the walking Wild, moving to the left side of the reel grid one spin at a time. 3rd January: Released by Red7 and available at Videoslots, Battleship Direct Hit is a slot version of the iconic Hasbro toy, featuring cascading reels, 50 free spins, and 4 jackpots – Grand, Major, Minor, Mini. Thanks to the Megaways structure, the number of paylines (which can reach 117,649) changes on every spin, and the wins from different betways are added together. Any base game spin can activate the turret fire that destroys the low-value icons from the reels, boosting the chance of higher payouts, while Missile symbols destroy the Battleships above the reels, awarding Free Spins and jackpots. 31st December: Launched by Betsoft and available in Mr Green casino, Yak, Yeti and Roll slot takes us in the midst of the snow-covered Arctic tundra, where an unlikely duo consisting of an Eskimo scientist and his sidekick Yeti fights its way through a blizzard, Free Spins, and cash payouts, in pursuit of new adventures! Bonus features will be unlocked as soon as the Yeti crashes into them with the sledges, thus triggering coin wins, free rounds or multipliers; the trail of bonuses will remain active during the Free Spins session and any multipliers scored while the bonus rounds run will be added together. Big spenders can even buy the special feature, increasing the chances of multiplying their bets by x200. Happy New Year, everyone! 27th December: Originally announced for the beginning of 2019, Mustang Gold by Pragmatic Play is already live on LeoVegas, and the casino members will be among the first to spin the reels of this medium to high volatility slot. Featuring wild prairie mustangs as the highest paying icons, Mustang Gold offers four jackpots (Mini, Minor, Major, and Grand), randomly unlocked in the Jackpot Reveal Bonus Game and carrying a multiplying value of up to x1000. Special money symbols are collected throughout the base game and free spins, generating additional payouts or unlocking the above-mentioned Jackpot Bonus. Cowboys and cowgirls let’s rope that jackpot! Yee-haw! 25th December: Magic is in the air tonight and the latest release by Realistic may not be Christmassy, but it feels fitting, nevertheless. Although many of you will be naturally drawn to more festive themes on this silent night, holy night, Spin Dizzy by Realistic (available at Dream Vegas) is perfect for those who like to mix it up a bit. The slot features a Woodland Fairy that’s easy on the fairy dust and generous with Spinning Wilds, scattering them randomly across the reels. Spins Dizzy can produce x250 of a player’s stake on a single spin, sprinkling quite a few free spins along the way… Merry Christmas everyone! 21st December: You may have forgotten all about this 1996 Sci-Fi comedy, but someone at Blueprint remembers the movie vividly and as a result, we now have a 20-payline, medium volatility slot, with 5 random modifiers, bet multipliers, progressive jackpot, and bonus-awarding Martians! The game will take you through all 5 stages of the alien invasion, from the landing and declaration of friendly intentions to the hostile takeover, followed with the resistance of earthlings. Any spin can trigger one of the 5 modifiers (Radiation Blaster that adds extra Wilds, Abduction Beam which replaces the symbols on the reels…), not to mention the randomly unlocked Jackpot King Deluxe. To greet our visitors from the outer space, head straight to Mr Green! 17th December: Coming to you live from Casino Room, Book of Oz by Microgaming (Triple Edge Studios) is a high volatility video slot with x5,000 player’s bet payout potential, Free Spins, and Expanding symbols. Three Book Scatters are all it takes to trigger the Free Spins session and unlock the Expanding icon that’s randomly selected before the bonus rounds begin. The symbol will spread across the entire landing reel and produce a payout when the matching icons appear on a payline. At the end of every base game spin, a re-spin can be activated (at a cost), and the players will be able to select which of the five reels they would like to set into motion. 12th December: Strike down your opponents and win the ultimate fight for power in Microgaming’s latest, epic adventure specialty game available in Vegas Hero casino – Battle Mania! 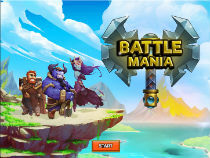 Crushing your enemies has never been this easy – with Battle Mania, you will get to select one of three teams (Island Guardians, Heroes of Light, and Champions of Balance), and battle against your adversaries until you destroy the members of the opposing group and win a cash prize. All teammates have a special set of skills which can be activated during the fight session and destroy your rival with a single blow; as you advance in the game, you will even get to choose the battlefield location, with every Island introducing different bonus features. If you’re looking for new online slots in 20919, you’ve come to the right place. In fact, you have very little choice because wherever you go in the online casino world you will find new stuff going on. Has any industry ever been so addicted to novelty as the online casino industry? Perhaps the crazy tulip industry of the 17th century, but we doubt it! All industries are like this to some extent of course. There are always improvements to be made to any product, otherwise, capitalism would break down and we could all get on with enjoying life – and we wouldn’t want that now, would we? Well, would we? Slots keep coming! The boom in the industry that started with the advent of always-on, high-speed broadband internet shows no sign of slowing down let alone stopping. And while the regulatory world has caught up with the online slots world a little – and, in doing so, applied a bit of a (much needed) break to the helter-skelter pace of new sites. Here we’ll take a look at the world of new slots and why it’s a great idea to keep ahead of the game with new slot guides and reviews to help you exploit this exciting opportunity to play the best new games and to win big! What do you see when you log on to your favourite online casino site? Hell, you don’t even have to log on, just land on a page as a visitor and – along with a huge welcome bonus – you’ll see new games being trailed at you loud and proud. The fundamentals of the slot are fairly well established, but there’s always room for something better, and you can be sure that in design offices and tech labs around the world, designers and mathematicians and programmers are all going nuts looking for the next breakthrough that will make their title a runaway success. And it’s always been like this! The first slots – in the real world – were designed as a way to get around gambling restrictions. They mimicked the relatively simple mechanics of favoured gambling card games. And if you think about it, that’s what slots still do – they “deal” a random “hand” of symbols, and reward you for matches. Pretty soon, the law caught up with the first slots and said, “you can’t fool us, that’s just a card game hidden in a machine.” So, the slot makers change the symbols to fruits and bells. The fruit machine was born and the slot world innovated its way into existence. More recently, innovation has been all about tech. The main innovation and the most visible has been the addition of extra reels. For decades the standard slot set up was three reels with three rows of symbols. But as games migrated online reels started to add up. The standard online set up is now a five-reel machine with three rows of symbols. That’s not the end of the story though, because all sorts of unconventional set-ups are now available to designers and they’re not shy of using them. The reels can come in non-standard formats, and the way symbols are delivered to players is also being revolutionised. No longer do “reels” seem to spin as they did in mechanical machines. I mean, why keep that when there are no actual mechanics? So symbols can tumble in, or explode in, or anything the designer likes. New Online Slots: Everything Looks and Sounds Amazing! If the delivery of symbols has changed then the look of the symbols themselves has changed beyond all recognition. When we were growing up playing off-line fruit machines in pubs and clubs, the idea of animated introduction screens and moving symbols was the dream of a madman! Not so any more. All the tricks of the game designer can be used in graphics for slot machines. There’s no limit on what your game can do visually, in terms of static symbol design and animation both on the reels and in bonus games. The games these days can sound brilliant too. Even better you can turn the sound off! Games these days are much more customisable than they ever were, and – for us – the best sound is a near silent game! The look of a game has changed beyond all recognition – only to come back full circle to the retro slots of today – but some aspects of gameplay have been changed. Back in the olden days, the most common features on a fruit machine were nudge features that shifted the reels down a step or two. Hold features allowed players to hold a symbol in place while the rest of the reels span, hoping to hold a high-value win in play. These days the extra features demand fewer choices of players and are typically triggered at random on the reels. Wilds are symbols that stand in for others – usually with the exception of scatter symbols and other bonus symbols – on the reels in order to create the best possible win for the players. With computer graphics, these can be a lot more than static symbols. Expanding wilds grow across the screen or up reels to make large parts of the screen wild and working on your behalf. They can also move across the screen in proceeding spins. They can “infect” neighbouring symbols. In fact, as with every aspect of the modern slot, what they can do is essentially limitless, and something that will become even more exciting with new online slots as they are introduced to the market. While these superficial changes have been great news for players – who, after all, doesn’t want to look at a pretty game – the actual game itself has changed relatively little. It might be a few decades since we started playing games off-line. And, we might be wowed by the graphics, effects, animations, and sounds, but a player from our era is not going to have much difficulty understanding the base game of any online slot released in 2019. The machine whirrs after you press a button and delivers a random result, with some sets of symbols being rewarded. It’s in the bonus games that things have gotten more complicated. That’s why players love new games, and it’s also why it’s a great idea to keep up with review sites and news, so you know what you’re doing when you do hit the big bonus game that could deliver the top prize that will change your life! The most popular bonus game in our experience is free spins. Typically they’re still awarded when scatter symbols appear – that’s symbols that still score without being adjacent to each other – on the reels, often in multiples of five or 10, and usually with extra spins being added for each extra scatter. They might come with a whole load of extras including extra wild symbols – like a Wild in cards, that stands in for other symbols to create the best possible winning combinations. Wilds that behave in different ways, by expanding, moving across the reels, or “infecting” neighbouring symbols. Free spins might also include multipliers on your wins. They can also retrigger, meaning you could potentially end up playing hundreds of spins without putting a penny of your own money up. Another popular bonus game is the gamble. These games used to be games of hand-eye coordination on old fashioned fruit machines, with the reward depending on your ability to stop a flashing light or climbing column of lights at the right time. These are sometimes offered in new online slots, but more common are simple games of choice where you guess on a coin toss or card turn. A simple game, but ruthlessly effective! These sorts of games can be expanded into bonus games in their own right, by offering a series of choices to create a cash ladder – or road, or set of lily pads, or you name it. Basically, it’s a series of choices that offer a chance to climb up an ascending ladder of prizes, often with a jackpot at the top. The flip-a-coin or turn-a-card options of those cash ladders can be made more complicated and work as prize picking bonus games. These offer you a screen full of options – nine seems to be a popular number – and allows you to make a set number of picks to pick up prizes. These games are super simple but can be the key to winning the biggest game prizes in a game. All of this gameplay innovation is fantastic news for players. It offers a depth of experience that goes well beyond what has ever been available before. It also means games are that much more complicated. We’re not joking when we advise our readers to always read the instructions before they play a game. Either at the site itself, or at good quality online review sites like ours – we’re good quality, right? Be kind! – you need to know the basics of a game before you play it. Bonus games really can be triggered entirely at random from a standard spin, and you need to know what to do. Another option is to try out games in demo mode or at sites that offer free play. It’s a no-risk strategy that we recommend whenever it is possible. 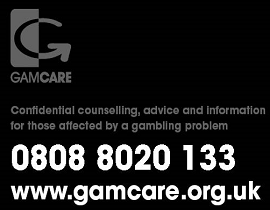 However, another welcome addition to the online slots world is good quality help advice. Back when we were resting our pints of cheap lager on top of pub fruit machines, the only advice you might find would be a poster that someone might well have scribbled “Dave loves willies” all over, and a bloke called Dave – odd coincidence! – who would wonder over and mysteriously mutter, “always hold lemons” before watching you lose all your cash and hitting the jackpot on his first spin after you walk away. Your options these days are much better. But an option is no use if you don’t use it! So while you’re reading up on a game before you play it, make sure you know how to find help if you need it! Every game will have a pay-table that you can access with a single click, usually from the base game. And there should also be a comprehensive help guide that explains everything about the game. Those will tell you what you need to know. However, they’re not always brilliantly written and that’s where sites like ours help you to get the most out of new online slots. Should you need help that goes beyond that you also need to know how to find help on the site you’re using. Usually, they’ll be an online chat option, maybe a phone number, and always a contact email. It’s a good idea to have contact details written down where you can access them even if your computer crashes. And don’t be shy of taking screenshots of things if you need detailed explanations. Caution is good, but enjoy new online slots! We always advise our players to be cautious. We don’t do this likely. You should follow safe gambling procedures. You should only play at licensed, legal and legitimate sites. And you should know a game before you play it and how to get help at the site you’re using. But keep all this caution in perspective. Most sites – all the ones we recommend – are legitimate and safe to use, and most games will give you a great, fun experience that might see you winning a bit of money. Do your homework and use some common sense and you’ll love new online slots as much as we do.